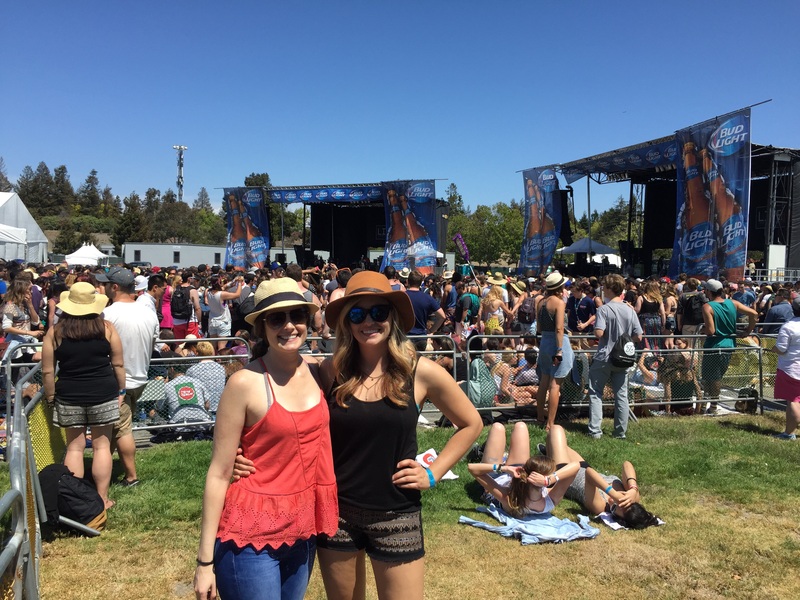 Over the weekend, we went to the annual BFD festival at Shoreline in Mountain View, CA. Having worked for the station that hosts the event, we always appreciate the hard work put into it and it’s nice to see all of our old colleagues. It can be tough figuring out what to wear because it’s usually warm during the day but cools down at night. 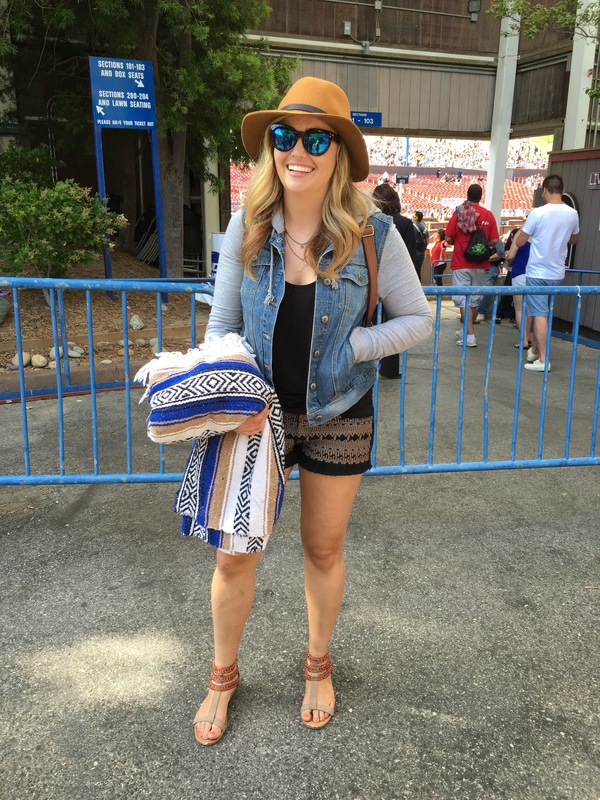 My go to is a combo of shorts, tank, jacket, sandals and a blanket to be able to chill out in between sets or on the lawn. I’m a huge fan of the Bohemiam style and aztec prints. 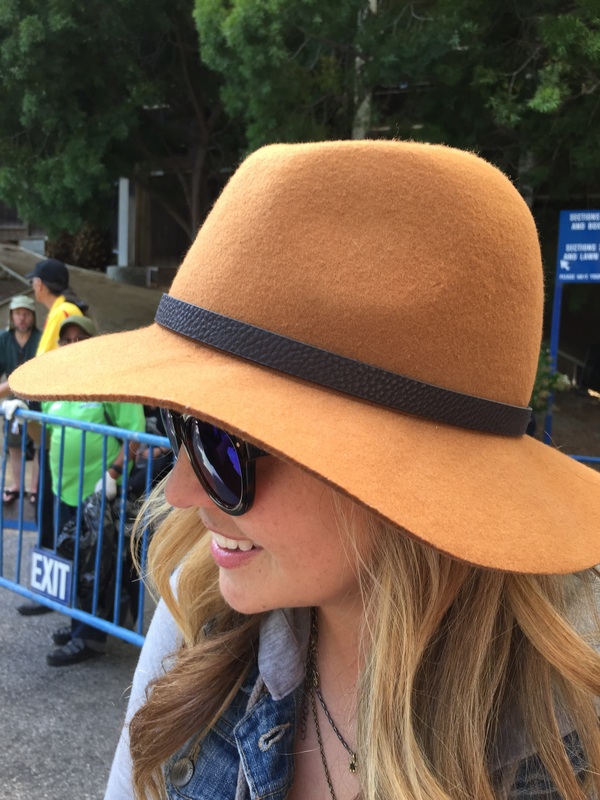 I love rocking a hat too for sun protection during the day and warmth at night. This one is a good one because it’s small enough that it wouldn’t block anyone’s view at night. I also love to have a back pack. In mine, includes sunscreen, ear plugs, leggings, and my wallet/phone. What’s your go to festival outfit? Cute outfit!! BFD is soooo much fun. So is Summer Jam! Which station did you guys work for? I used to work for Wild 94.9. It was awesome!